Carnival Panorama has been chosen as the name of Carnival Cruise Line’s new 133,500-ton ship scheduled to debut in autumn 2019. Carnival Panorama is the third in the line’s highly successful Vista-class series, which are all named to reflect the connection between the vessels and the sea and highlighted by stunning indoor/outdoor spaces that create a truly unique seagoing holiday experience. Carnival Panorama will join its sister ships – Carnival Vista, which entered service in 2016, and Carnival Horizon, set to debut on 2nd April 2018. The three 3,954-passenger Vista-class ships are the largest ever constructed for Carnival Cruise Line. As its name implies, Carnival Panorama will offer venues with both indoor and al fresco experiences, including the Fahrenheit 555 steakhouse, Library Bar and Bonsai Sushi, along with open-air attractions such as the ground-breaking bike-ride-in-the-sky attraction SkyRide, a massive WaterWorks aqua park and the SportSquare recreation area. Also featured will be a vibrant Havana section with tropics-inspired staterooms and its own Cuban-themed bar and pool, Family Harbor, featuring extra-roomy accommodation, the Family Harbor Lounge, a luxurious Cloud 9 Spa and Ocean Plaza, a spacious dining and entertainment venue with indoor and outdoor seating. 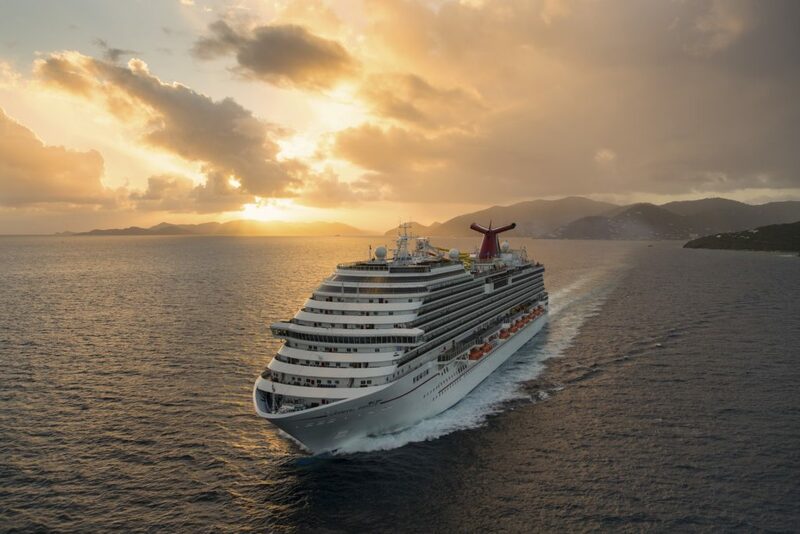 “Carnival Panorama is the perfect name to reflect the design inspiration of our Vista-class ships providing more venues and opportunities to connect with the sea,” said Christine Duffy, president of Carnival Cruise Line. “Carnival Panorama will offer a wide variety of fun indoor and outdoor experiences along with exciting one-of-a-kind features that will provide our guests with a lifetime of wonderful holiday memories,” she added. To learn more about Carnival Cruise Line, visit www.carnival.com. For reservations, call 0808 234 0680. Carnival can also be found on: Facebook, Instagram, Twitter and YouTube. Journalists also can visit Carnival’s media site, http://www.carnival-news.com/ or follow the line’s PR department on Twitter at http://www.twitter.com/CarnivalPR.